It has been a while since I last posted anything to this blog, so I thought I’d detail a restoration piece I am working on for a client. When the instrument was received my client was shocked at the state of the piece. 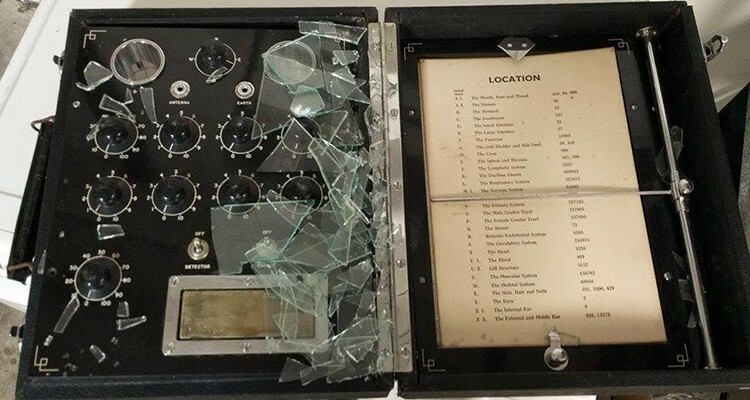 It had arrived full of glass, the window to the location sheet shattered into thousands of pieces, and the cabinet was bursting at the joints. The leather upholstery was decayed, dirty, scratched and torn. 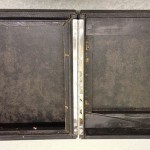 The cabinet hardware was corroded and worn. This de la Warr analyser was sent to me for repair. I have restored my own analyser which is a much later model, so I was already familiar with the format. The bulk of this project is restoring the cabinet which is no mean feat. 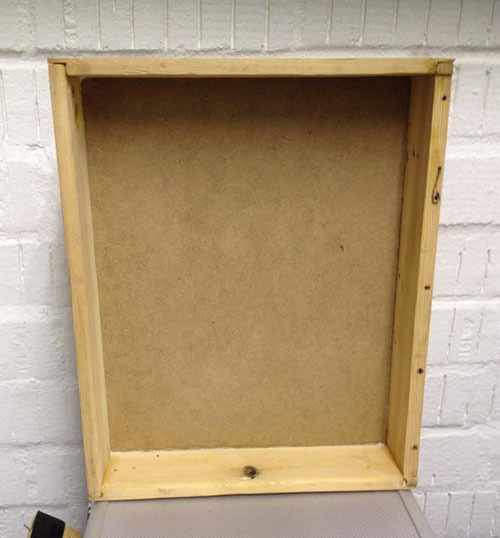 To date I have disassembled the lid, stripped back the old leather, sanded the woodwork and rejoined the pieces. 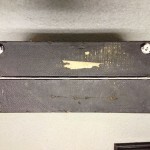 The quality of the original woodwork is very poor, which is why the instrument suffered some damage in the first place. I done my best to strengthen the joints and prep the wood for the new hard wearing Tolex. Here is the cabinet. Unfortunately you can’t easily make out the broken joints from this angle. I have started by removing the lid and as I’ve mentioned stripping that back and rejoining all the parts. I had to replace the fibre board lid with a new piece as it was easier to do that and will also give a better finish when wrapping with the Tolex. Here’s the lid of the box all prepped. The next stage is to paint the inside silver. The original colour of the interior of the cabinet is black. However, de la Warr painted most of the insides of their instruments metallic silver This was found to improve the function so we plan to upgrade this instrument to silver as well. I will tackle the bottom half of the box next then it is onto the big task of wrapping the cabinet with Tolex leatherette. 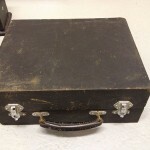 The advantages of using tolex is that it will not suffer the same fate as the original leather of this case which had rotted away. Much earlier Instruments used Vinyl leatherette like Ruth Drowns Instruments, and they are still in good shape today. 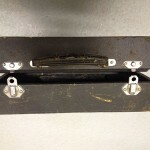 The other advantage is that the Vinyl will be more hard wearing and provide some structural rigidity to the case around it’s weak wooden frame.